I was planning to take the week off of blogging this week. The Maryland Court of Appeals rejected this plan by publishing its opinion in District of Columbia v. Singleton. In a quiet but meaningful protest, I’m going to make this post a little rambling and disjointed. Just know this is an intended effect. So here we go. In Singleton, plaintiff was on a bus with his 8 year old son in Prince George’s County, traveling on Route 50. They were going on a school field trip to Six Flags. While plaintiff was asleep, the bus went off the road and hit a tree. Plaintiff suffered injuries in the accident, but I think this was nothing more than a soft tissue injury case. At trial, plaintiff and his son were unable to provide testimony as to why the bus went off the road. Plaintiff’s lawyer did not call the bus driver or any other witnesses. Plaintiff’s obvious problem: where is the proof of negligence? Plaintiff attempted to solve this problem by relying on res ipsa loquitur, using the simple logic that buses don’t crash into trees in the absence of negligence. The trial judge disagreed, finding that there were “too many leaps of faith that a reasonable fact finder would have to take” in order find that the bus driver’s negligence was the cause of the accident. I love this issue statement. It is like me asking one of my kids, “Should you be allowed to play Fruit Ninja on the iPad when you have not eaten you dinner and have acted completely inappropriately all evening?” You know how the opinion is going to come down by the way the they loaded the question. Honestly, I’m not sure what the holding of this case really is. The court repeats the mantra that the plaintiff’s lawyer should not have put on a “bare bones” case and should have called available witnesses to make his case in chief. I feel like the court assumed that this case was a small soft tissue injury case so plaintiff’s attorney did diligently line up the necessary witnesses. But what exactly is the evidence of this? Maybe plaintiff’s attorney did not call these witnesses because they were either the defendants or they had no meaningful testimony to offer. The court does not point to plaintiff’s discovery responses that proffered what fact witnesses were expected to say. Maybe the case was bare bones because plaintiff’s attorney had no evidence that would have shed any further light on how the crash happened. But what if the witnesses were not available or they just had nothing to say? Would that have made a difference? I’m really not sure. If the court believe that this case does not hinge on plaintiff’s failure to call available witnesses, I think the court is just wrong. 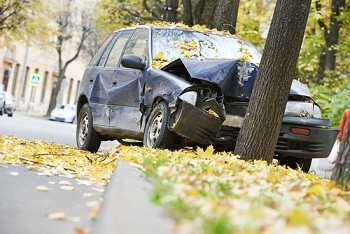 Plaintiff’s evidence in this case does almost certainly show that the defendant’s negligence, and not a third-party causation or force, more probably than not caused the wreck, given the particular circumstances of the accident. The bus went off the road and hit a tree. When you hear that, what do you think happened more probably than not? What percentage of “single car hits the tree” accidents are caused by the single car driver’s negligence? My confusion does not end there. There was a question in the case as to how important it was that plaintiff failed to meet the exclusive-control element of res ipsa loquitur because plaintiff did not establish that defendant owned and operated the bus. But what I can’t figure out was how important was this exclusive control issue to the court’s holding? Did it matter? Again, the opinion is unclear, at least to me. The good news is that while the court seemed to ignore a lot of good Maryland law in reaching its conclusion, it did not disturb the court’s holdings in Romero v. Brenes and Andrade v. Housein> which both present more common fact patterns for Maryland car and truck accident lawyers than the odd way this case played out. But, again, this case is going to be rammed down our throats in fact patterns just like Romero and Andrade because I think this case – unnecessarily – muddies the waters of exactly what the law is. The other take home lesson from this case is to flush out everything you possibly can on motion before trial. If Plaintiff had moved for summary judgment, or taken some other action to blush out where the court was on res ipsa, it might have given plaintiff’s attorney the heads up that the case was not going to fly without more evidence of negligence.